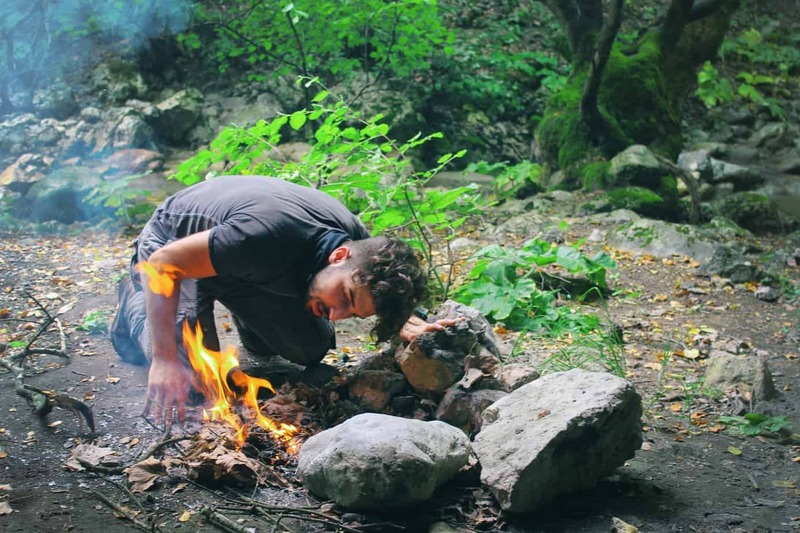 Most people with an affinity for the outdoors discover sooner or later that they want to get off the grid and really get out into the wild. Maybe that means climbing some remote peak, maybe it means backpacking the AT, or maybe it means backcountry bushwhacking. 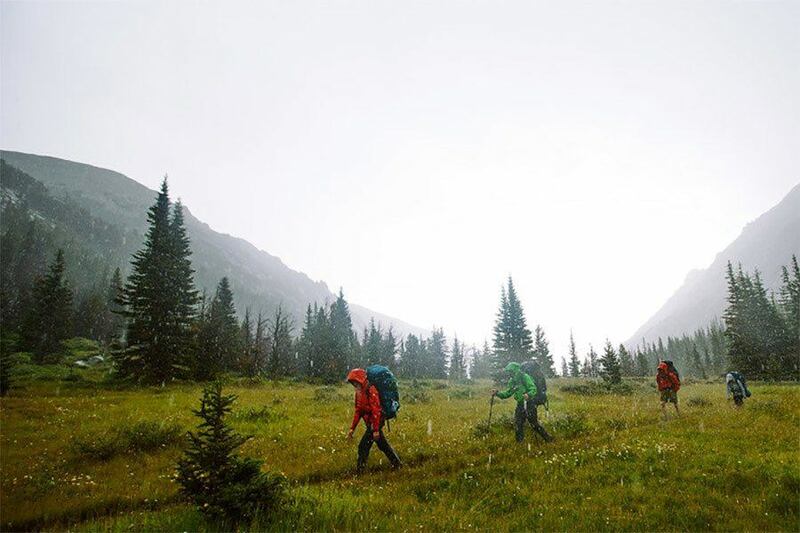 But whatever the objective, if you’re spending days (or weeks) out in the backcountry, you’ve got to haul all of your gear and supplies along with you. That means you need a pack that can handle heavy loads. And if you don’t want your shoulders and back to hate you by the end of your first day, it means you need to find a good one. Shoulder and back pain was what led me to abandon my old pack and replace it with something much, much better: the Mystery Ranch Glacier. Like many, I was put off at first by its inflated price tag. 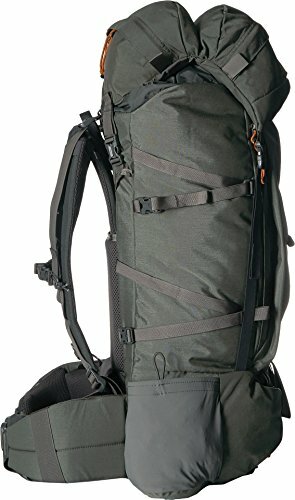 But after using it to repeatedly lug 60+ pounds up and down a hill for hours on end, I can tell you with confidence that there’s a good reason this pack costs what it costs. You may not be familiar with the Glacier’s maker, Mystery Ranch. But outdoor old-timers will probably recall Dana Design, which was famous for making high-end, bomb-proof, load-haulin’ mountain packs before the company got acquired and the brand was shut down. Decades-old Dana Design packs are still floating around on the used market because they were so well built. is essentially a modern reincarnation of Dana Design. 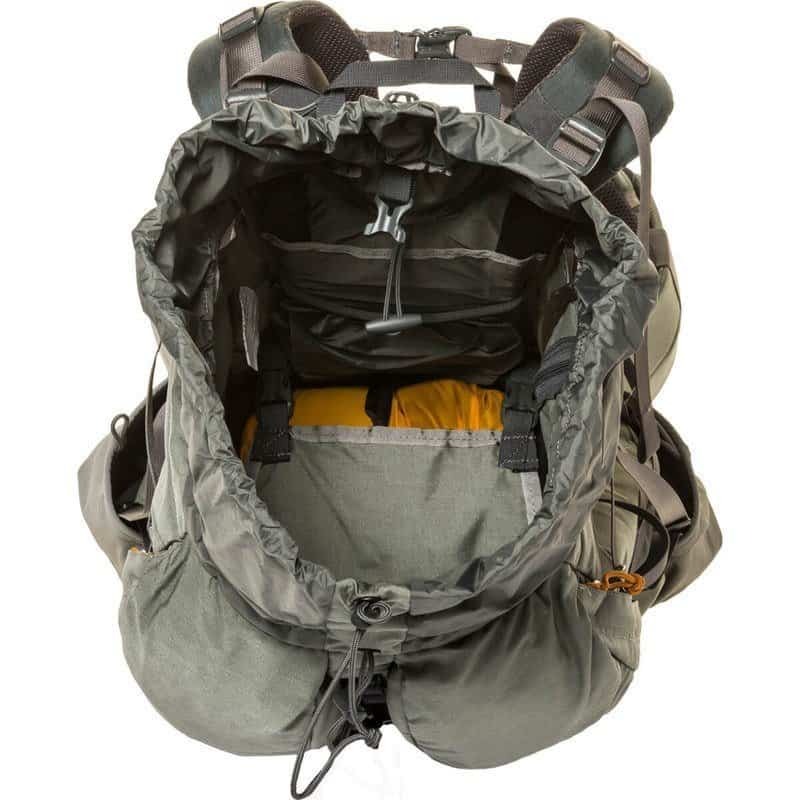 The company was founded by the same guy (Dana Gleason), and its pack designs are in many cases quite similar to old (and battle-tested) Dana Design models. And like Dana Design, Mystery Ranch has quickly built a reputation for quality among those in the know. Its military packs are even used by the US Navy Seals. In short, it has pretty much everything. Of course, all the features in the world can still add up to a bad pack if they’re not well implemented, but thankfully that is not a problem for the Mystery Ranch Glacier. 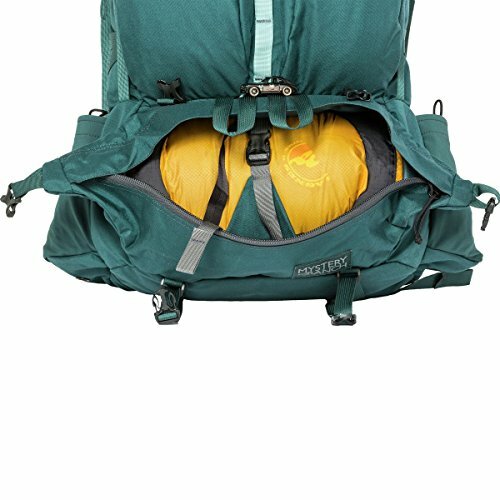 It has been really thoughtfully built, and although some users may prefer something a bit more stripped down, if you’re looking for a handle-it-all pack for backcountry trails and mountains, this one is hard to beat. The pocket configuration, for example, is really well designed. The vast majority of the pack’s storage space is in its cavernous main compartment, of course. But the small pockets in the head of the pack give you a great spot for storing small gear you might need quick access to during a hike (map, compass, snacks, spare gloves, etc). The torpedo pockets on the back are a great place to store any technical gear you might need easy access to (rock climbing shoes, climbing rack, crampons, whatever), or to stuff a few extra layers so you can grab one quickly if it gets cold without having to even open the pack’s main compartment. If you do have to go into that main compartment, though, you still won’t need to unpack your stuff, because although the Glacier is top-loading, it features both side and bottom access zippers. Being able to access your stuff without having a “yard sale” mid-hike is convenient, and it can be a literal life-saver on steep slopes where anything you’re forced to unpack to get at whatever you need is at risk of sliding down the slope and getting lost. Anything else you need easy access to can be strapped to the outside. Between the daisy chain, the compression straps, additional back straps, the water bottle pockets, and the ice axe loops, the Glacier can take whatever you throw at it. I can get trekking poles, two ice tools, and snow pickets strapped to this thing without even touching the daisy chain or the bottom strap. It’s incredibly versatile, and it’s hard to imagine any situation where you might need to bring some gear on a trip that the Glacier couldn’t somehow accommodate. Now that we’ve loaded and strapped the Glacier with everything under the sun, how does it carry? Amazingly well. Let me put it this way: the first time I ever strapped mine on, I had 60 pounds in it (more weight than I’d previously trained with) and I wanted to do 1,500 feet of elevation gain. With my previous pack, even that relatively small amount of gain with less weight (50 lbs) was enough to hurt my back and shoulders. But my first day out with the Glacier, despite the heavier weight, I felt great after 1,500 feet – great enough that I just kept going until the park was about to close. Obviously, how comfortable a pack feels depends on getting the right fit, but thanks to the Glacier’s velcro-adjustable yoke, getting a perfect fit is easy. The pack is available in six different sizes for men (XS-XXL) and four for women (XS-L), but once you’ve picked the right size, you then further customize the fit by adjusting the yoke to the perfect height for your body. It may take a little trial and error to find the best settings and to figure out how tight you like the straps for maximum comfort, but once you’ve got this pack dialed it really feels like you’re carrying less weight than you actually are. Not much needs to be said about the Glacier’s build quality beyond this: it’s bomb-proof. The 500D fabric is about as tough as you’ll find on any pack. You can drag this thing through brambles, slide it down snow and ice, drop it in the mud – it’s going to be fine. There’s a reason the military buys packs from Mystery Ranch; these things can take a serious beating. The downside of that extreme durability, of course, is weight. 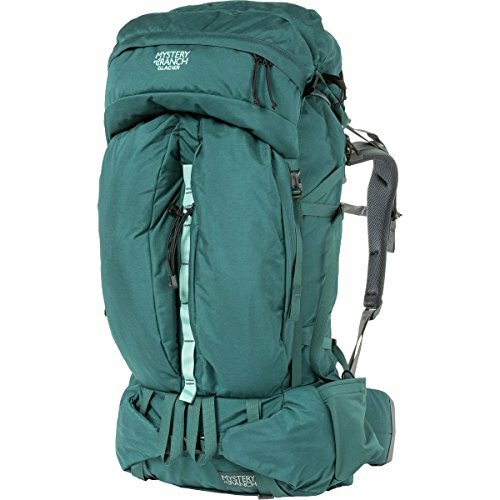 It’s almost two pounds heavier than lightweight alternatives like the Mountain Hardwear South Col 70, and it’s still a full pound heavier than more comfort-focused packs like Osprey’s Aether 70. The Glacier is emphatically not an ultralight pack, although since it carries weight so comfortably, this is a difference that you may not notice in practice. The other downside is the price. 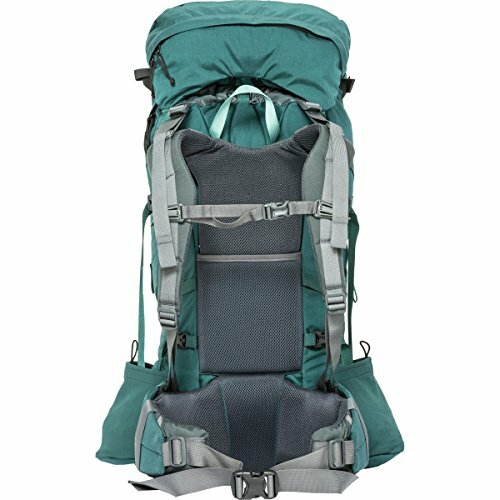 Unless you find an incredible deal on one, the Glacier costs more than almost any other pack in this size range. As with most things in the world of outdoor gear, the price is a trade-off, because these packs will last you for years, hold their value well if you’re looking to resell, and they’re covered by a pretty good warranty if anything should somehow break. In the long-term, I think buying the Glacier will probably save you money; you might literally never have to replace it. Still, though, the high upfront cost can be difficult to fit into a budget, and there are other companies making cheaper packs that also offer replacement guarantees. I think so. Personally, I’m not bothered by the extra weight, and I think the high price was worth paying if for no other reason than to set my mind at ease. Even the world’s best warranty isn’t going to be much help if a cheap pack breaks on day three of a weeklong backcountry hike, and the Glacier feels like the sort of pack I’ll never need to call customer service about. It’s hard to imagine any part of this pack breaking under anything less than catastrophic circumstances (and if the pack’s fabric rips because I’m being mauled by a bear, I’ve got bigger problems to worry about than my backpack investment anyway). Of course, that’s just my personal take. Whether or not this pack is right for you is going to depend on some individual considerations. Does it fit your budget? Do you need something this durable? How much weight are you likely to be hauling? The Glacier may not be the right pack for everyone, but I can say with confidence that if you’re doing anything long or heavy in the backcountry, it will not disappoint you. It’s a comfortable, bomb-proof pack that’s built for hauling while still making it easy to access virtually anything inside or outside its cavernous frame during pit stops. What more could you ask for?